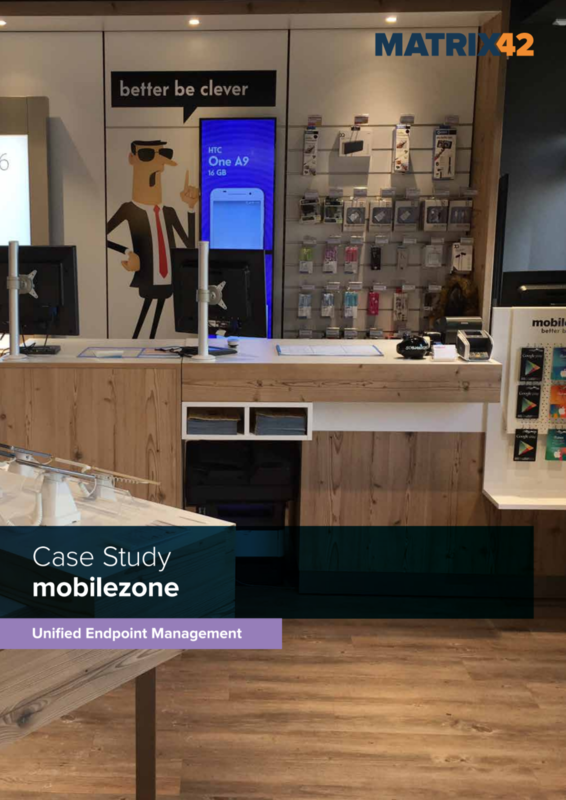 mobilezone was founded in 1999 and is today the leading independent telecoms specialist in mobile and fixed line telephony in Switzerland. The company employs more than 900 people in Regensdorf, Urnäsch, Zweidlen, Zug, Vienna (A) and Obertshausen (D). As part of the further development and optimization of the IT infrastructure, the company has evaluated a new client management solution and ultimately chose Matrix42.